In one of the worst winters to hit Connecticut in years, two local companies, Diversified Group and Carling Technologies, found a way to beat the winter blues, encourage physical activity and help their neighbors in need. As a leading third party administrator in Marlborough, Connecticut, Diversified Group strives to promote wellness and physical activity not only to their clients, but to their own employees. From February 1st through April 22nd, Diversified Group held a pedometer challenge against one of our clients, Carling Technologies, to walk the 648,000 steps necessary to walk around the Caribbean Islands. Each company wagered $2,000.00, for a total of $4,000.00 to be donated to the winning company’s charity of choice. “We have held countless wellness competitions in the past, but this was the first time that Diversified Group employees challenged one of our own clients to a contest. Carling Technologies stomped all of us, walking over 300,000 steps to win the contest, and they chose Foodshare as the beneficiary of the donation,” said Charlie Soleau, Executive VP at Diversified Group. The challenge was facilitated by Corporate Fitness and Health, Diversified Group’s subsidiary company who works to design and manage worksite wellness programs for various companies throughout the northeast region. Their goal for this program was to increase physical activity, not only in the workplace but also during a season when the weather is not necessarily conducive to being outdoors and activity tends to decrease. Members of both Diversified Group and Carling Technologies went to present Foodshare with the check for $4,000.00. 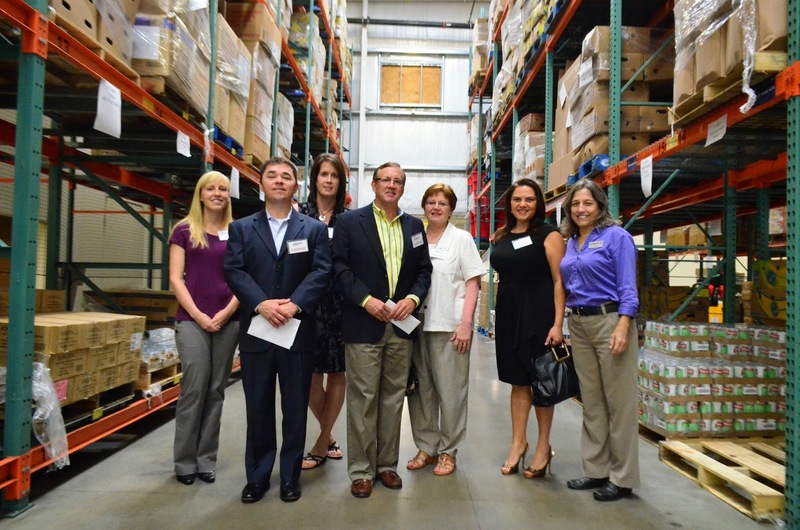 Foodshare’s Director of Development, Wendy Kohn and Mark Cherrington, Director of Communications, gave both teams a tour of the warehouse to show how the donation will be used. We are so grateful to Diversified Group and Carling Technologies for helping feed hungry neighbors through such a fun and friendly competition that promotes wellness! This is a great example of how companies can put the “fun” in fundraising and have a win-win activity, for their employees and the community, said Wendy Kohn, Director of Development for Foodshare.